Two Ontario residents have died after ingesting hand sanitizer that contained a highly toxic and undeclared ingredient, Health Canada has confirmed. Tests conducted by Ontario's Centre of Forensic Sciences on two eight-ounce bottles of Bodico Hand Sanitizer found it contained deadly methanol rather than ethyl alcohol, the active ingredient listed on the product. Dirk Huyer, Ontario's Interim Chief Coroner, warned that ingesting methanol can cause blindness or death. "Hand sanitizers should never be ingested," he said. Despite warnings from health-care professionals, however, a quick search on YouTube turns up many online videos featuring teenagers ingesting hand sanitizers to get intoxicated. California's Children's Hospital reported that as many as six teenagers were hospitalized with alcohol poisoning after consuming hand sanitizer. 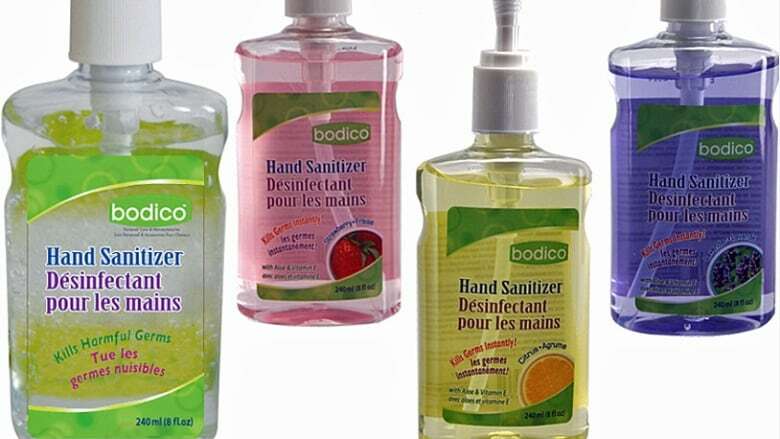 Health Canada has issued a warning to consumers to be on the lookout for eight-ounce bottles of hand sanitizer with the labels Bodico Hand Sanitizer and Bodico Hand Sanitizer with Aloe & Vitamin E.